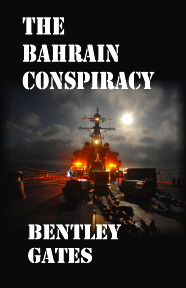 The Bahrain Conspiracy by Bentley Gates is an action packed novel about courageous US Navy SEALs fighting to stop a worldwide conspiracy between Somali Pirates and Islamic Jihadists. On May 1st, 2011 the real SEAL Team Six executed a night-time raid on Usama Bin Laden's compound in Pakistan. The raid resulted in the death of the leader of al-Quida. It is well that Justice is finally served upon Bin Laden for his murderous actions. 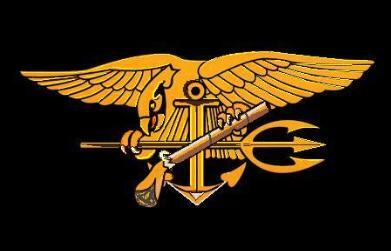 We applaud the SEAL TEAM SIX operators who risked their lives in this successful operation, and salute all who served in finding this criminal terrorist. REUTERS reports notes taken in Osama Bin Laden raid reveal that al-Qaida considered a scheme to hijack tankers and explode them in ports. They performed calculations like the ones described in the novel and just as the novel predicts, discovered the tankers must be exploded from the inside. Now in fact,the plot, the means and the methods described so skillfully in the novel are confirmed as being not only possible but viable by Osama Bin Laden himself! Javed Ahmed leads a cell of Islamic Jihadists, together with Somali Pirates, led by Captain Yazid in a horrific scheme to use the cargo of hijacked ships as weapons of mass destruction against American cities. Lieutenant Commander John Allen leads Lieutenants Sean Mills and Robin Anderson in a Joint Special Operations team with the stoic Agent Arlen Ames of the CIA in discovering and thwarting the Jihadist’s scheme. It is a story that could be in the headlines tomorrow! Based upon current events as Somali Pirates continue their hijackings and terrorist extremists use explosives against civilian targets. 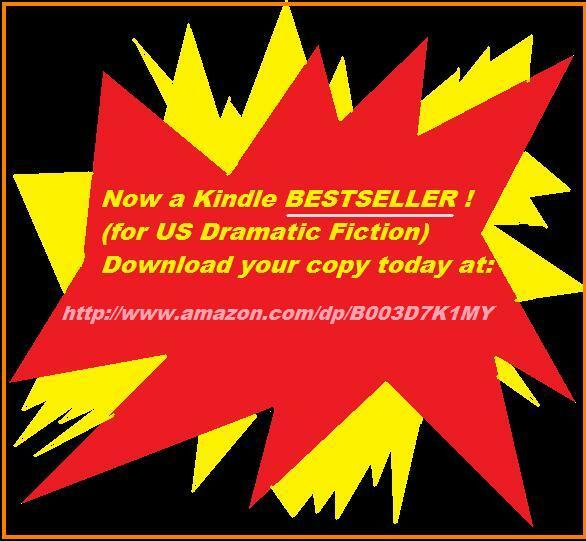 The sinister plan described is frighteningly possible in this high tech, military suspense thriller, that examines the personal motivations of the combatants, and the emotional toll of 21st Century warfare. The book examines the motivation of the Jihadists; the innermost feelings of the SEAL team members; and their agonizing decisions in accomplishing their opposing missions. Consider the strong motivations for the Islamists who sincerely believe in the cause for which they fight. Watch as they execute a plan that has taken years to come to fruition for them, knowing the SEALs are trying to stop them. Follow as Lieutenant Commander John Allen leads SEAL TEAM SIX under the Joint Special Operations Command together with the CIA as they scramble to unravel the plot they know is unfolding against them. On this website, you will find the hardware the SEALs employ and the many types of ships mentioned in the novel. Enjoy perusing the military and civilian ships. Take a look at the aircraft used in the search for the hijacked ships. Get a perspective on the astounding differences in the sizes of ships on the seas today. Use the Reader’s Companion to enhance your enjoyment of the novel. Have fun on the website. A portion of net proceeds from the sale of this book will be donated to Disabled American Veterans. Savant Books Logo, copyright Savant Books and Publications, LLC. This book is a fictional work and no reference herein refers to any person, organization, government, or country, living or dead. The Bahrain Conspiracy Copyright 2009 Bentley Gates, all rights reserved. Credit for photos herein is hereby acknowledged as coming from WikiCommons, except those specifically made or altered for use herein, and have been released to the public domain. See Wikicommons for copyright information regarding individual photos.